Okay, so things have been a little bit quiet on the beauty blogging front recently. In all honestly, I don't really buy that much new stuff anyway more! I still love beauty and makeup, however I'm really trying to use up everything I have before I go buying lots of new makeup bits to add to my collection. These bits I've really been loving recently are since Christmas, so hey there Snow Fairy. When it comes to foundation, I am very hard to please. It’s not often that I buy the same foundation twice in a row. 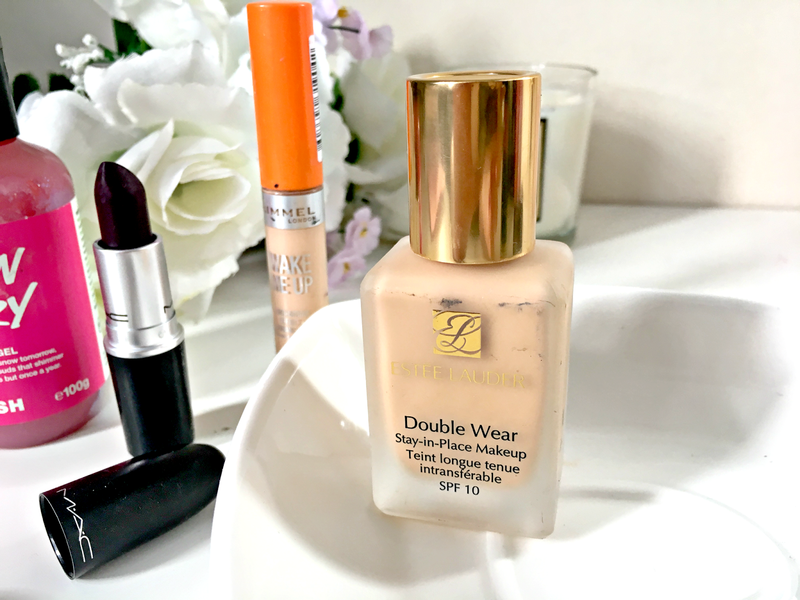 Technically, I still haven’t done that yet, but I have stayed with the Double Wear Foundation by Estee Lauder. My first purchases was the cushion stick double wear foundation (you can find my review here). I absolutely love it, it’s quite light so it’s perfect for the summer months, however, I still wanted more of a heavy duty foundation for evenings out and sometimes for work so it will last all day. I picked the exact same shade as my cushion stick foundation and it’s absolutely perfect. I can’t even tell you how much I love this foundation. It has a really nice coverage and it's quite dewy, so gives my skin a glowing finish. I think I’ve already briefly mentioned the Rimmel Wake Me Up Concealer. It’s new to me, but I’ve always heard the beauty blogging world raving about it and I finally see what all the fuss is about! It’s thick in consistency and it easily covers up any blemishes or dark circles. Wake Me Up definitely deserved a spot as one of my favourite beauty buys recently. Okay, so I’m a tiny little bit late with this one, but I have a reason! I received a bunch of Lush stuff for Christmas, mostly Christmas gift sets with Snow Fairy in. I honestly received so much shower gel bath and shower bits, that it’s taken me ages to get around to using it. Snow Fairy is a dream to use. It smells absolutely delicious and I love using it. Finally, we have MAC Instigator. My friend actually bought this for me for Christmas (I can’t believe I’ve used the C word four times in this post) and I’ve kinda just started falling in love with it more and more. It’s the darkest lipstick I own by far, who knows if a pale girl like me can really pull it off, all I know is that I really like it! Although the colour is kind of like Sin (read my review here), it’s nowhere near as drying and it’s actually quite moisturising on the lips. 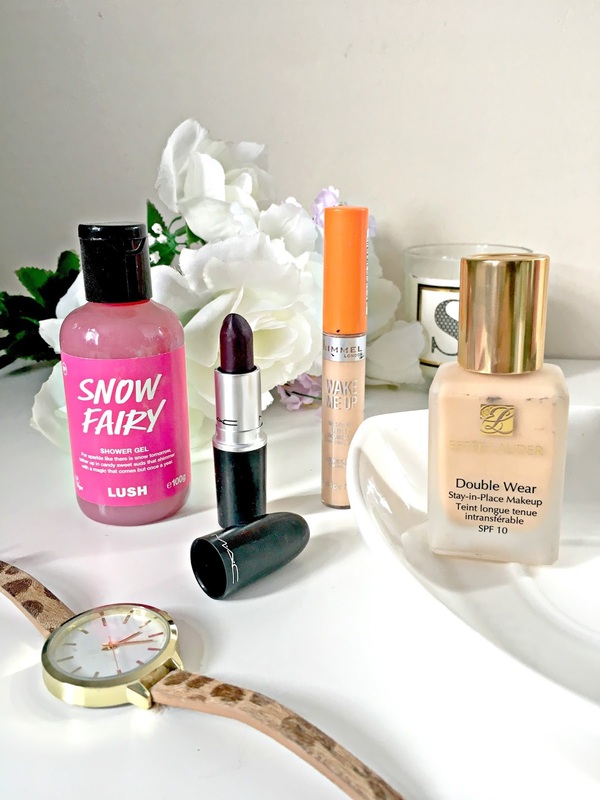 Like all MAC lipsticks, it has great staying power and it’s easily one of the best beauty items that’s found their way into my makeup bag over the last few months.